Chief Olu Falae, National Chairman of the Social Democratic Party (SDP), says his party will defeat President Buhari if he decides to run for second term. The former presidential candidate of the defunct Alliance Democracy/All Nigerian Peoples Party declared that SDP is the party to beat. “Constitutionally, he is entitled to second term. It is his right and, if he chooses to go, it does not bother me. If he goes, it means we will meet him on the field on election day and we will defeat him. Falae also spoke on alleged marginalisation of Asiwaju Bola Tinubu in the ruling APC after he had helped the party to capture power at the federal level. “We had in the past made our position clear through our leader, Chief Reuben Fasoranti, that Yoruba leaders believe that part of why he is treated that way is because of where he comes from. “We might be wrong, but that is what we believe. He is a smart guy and a politician who knows what to do to favour him at every time and every stage in his life. “He is not a baby, he has not said he needs my advice or tutoring or mentoring, so it is unnecessary to ask for an unsolicited advice on his behalf. “So if tomorrow Asiwaju Tinubu decides to come to the SDP, he will be welcomed. Of course yes; we were both members of the SDP before, so it will be ‘welcome home Bola Tinubu”. 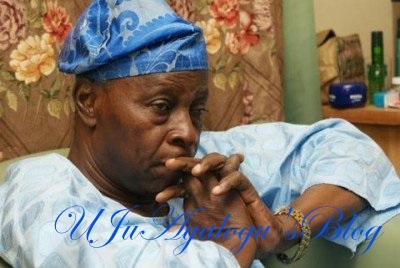 On the way out of herdsmen’s crisis, Falae who has been a victim, said the authorities was acting as if dealing with the issue was impossible. “Almost every nation on earth eats cows as we do. But you don’t go to California and run into cattle on the tarmac. You don’t even go to Ghana and find cattle in the city square. “We found the solution at the National Conference in 2014 that free grazing of cattle is out of date, disappeared over 200 years ago in most countries and that we cannot continue to live in the past.